Rheinmetall Air Defence Group, top European supplier of army technology, trusts XJTAG for its high reliability, versatility, ease of use, and for its high-quality technical support. The system enables the company’s engineering teams to shorten test time and thoroughly debug complex boards that cannot be tested using traditional probe-based equipment. To deliver advanced capabilities and to be sure of meeting military standards for environmental performance and lifetime support, Rheinmetall engineers build their radar and fire-control board designs around custom FPGA-based processor subsystems. Associated components typically include SDRAM and Flash memories, Ethernet PHY chips, and A/D or D/A converters. To verify that each unit is assembled perfectly, all boards are tested using XJTAG boundary scan. XJTAG helps to maximise test coverage, especially when BGA devices prevent access for traditional probe-based equipment. Customers have achieved testability of over 90% using XJTAG alone. Its built-in Design-for-Test (DFT) feature identifies testable nets early in the product lifecycle, allowing the design to be changed if necessary to meet a specific testability target. Rheinmetall engineers were originally using a different boundary scan system, but soon began looking for a better alternative. “For us, XJTAG is the best solution. It is reliable, with good technical support, and has many powerful features”, says Helmut Reschke. XJTAG connects to the board via a portable USB device called XJLink. Features such as signal skew control, adjustable signal termination, and software-configurable pin-out allow easy connection to a wide range of circuit boards. Being USB powered, XJLink requires no external power supply. In addition, spare signals on the JTAG connector can be used for actions such as holding a board in reset or turning on a PSU. “The test results are easy to interpret, which helps us track down faults quickly”, he continues. “And the device tests can be re-used in other projects, giving additional productivity gains. Helmut Reschke concludes, “XJTAG has delivered very high performance for its price, in addition to the high reliability and technical support we were looking for. The decision to choose XJTAG was extremely easy”. For us, XJTAG is the best boundary scan solution. XJAnalyser is a wonderful tool for debugging. There is also a high-level test description language and a graphical interface with a built-in netlist explorer, which enable us to adapt tests quickly after board design changes. There is also a function for measuring clock frequency, which is really useful. The system has delivered very high performance for its price, in addition to the high reliability and technical support we were looking for. The decision to choose XJTAG was extremely easy. Rheinmetall Defence AG is a top European supplier of army technology. 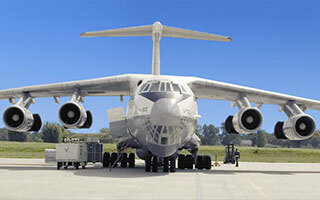 The company’s air defence division, Rheinmetall Air Defence Group, is the global leader in systems such as fire controls for cannon-based anti-aircraft technology.